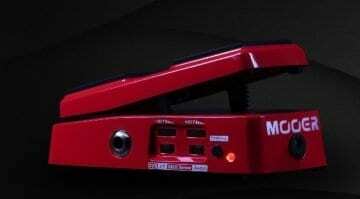 Mooer’s Liquid Digital Phaser Pedal is the latest in the company’s line of compact mini pedals. 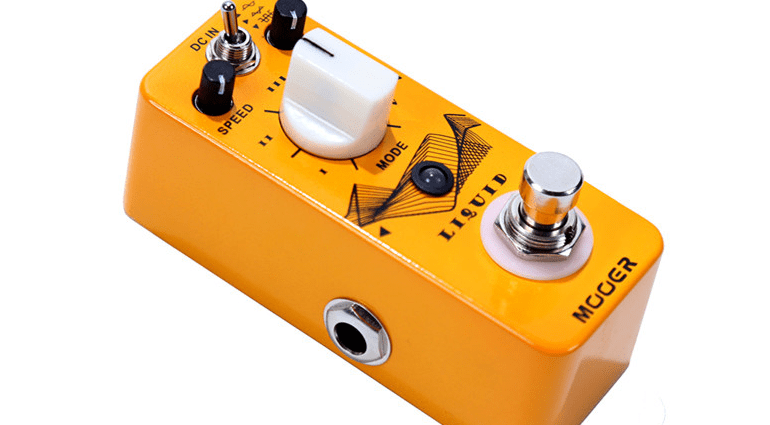 They already have a few well-received modulation pedals in their line up, including their Orange Nine Phase pedal. 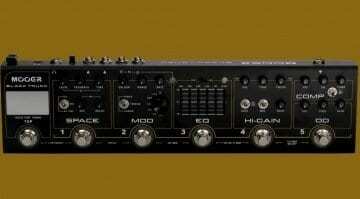 So what does this new Liquid Digital Phaser add? 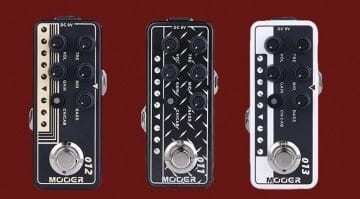 Well, this new phase pedal is digital and therefore allows Mooer to cram a few different versions of the effect into that tiny case. This in itself could be useful for gigging musicians that need more variety from their guitar rigs. The only caveat is that digital doesn’t always conjure that elusive ‘warm and chewy’ sound like a good analogue phase pedal can. 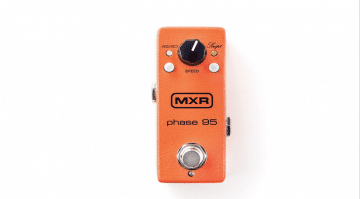 I can’t really comment as I have yet to try this new version, but I do actually own the Mooer Orange Ninety pedal and quite rate that one for gigs, so I would like to try this new digital version at some point to compare the two. The Liquid Digital Phaser offers five kinds of phasing effect, each with three selectable waveforms: Round,Triangle and Square. That gives you a lot to choose from, so this unit seems able to cover a lot of ground. that would make it great for cover bands, for example, where you need to be able to emulate a range of stuff live yet don’t want to bring lots of gear with you. The Mode/Mix knob (the big white one) allows you to choose between the five phaser types and offers various ‘wetness’ settings as well. Control-wise the Liquid Digital Phaser has mini pot controls for Speed and Colour, plus a mini toggle switch for Shape (the Round, Triangle and Square mentioned earlier). The unit is true bypass and can be powered from a standard power supply, so should be easy to integrate into most pedalboard set ups. There could be some compromise, though, as the pedal is so dinky that you have to squeeze in a lot of sounds yet there’s only limited control over parameters. Mooer have a reputation for being pretty good at this miniature malarkey though, so I am hoping it will be good. How can you do a review of a pedal if you haven’t heard it?